This past May RADM Susan Orsega was selected to become the 11th Chief Nurse Officer of the U.S. Public Health Service. 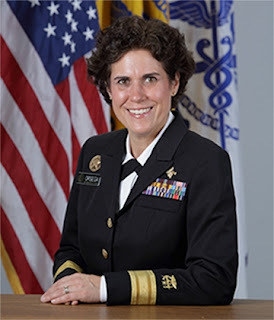 According to a statement RADM Orsega issued shortly after her selection, she declared her vision to be leading the way to a healthier America and world. Her number one goal to accomplish this mission will be to promote prevention by putting it into practice. Supporters of the National Nurse Act who received RADM Ortega's announcement were quick to note how aligned her ambitions are with the vision of the National Nurse Act. This legislation would designate the same individual serving as the Chief Nurse Officer of the Public Health Service as the National Nurse for Public Health. The National Nursing Network Organization commends and congratulates RADM Orsega. We wish her great success in her endeavors. On September 30, at 1300-1500 in the NIH Natcher Building, RADM Trent-Adams, the immediate past Chief Nurse will transfer command to RADM Orsega. Thank you to Lisa Summers for recently highlighted the important issue of opioid addiction in her commentary, "ANA partners to address a challenging public health problem", published in February issue of The American Nurse. Nurses, regardless of their practice settings, encounter patients and families who have been deeply affected by the tragedy of addiction. Summers noted that awareness campaigns and community action are important and must be included when addressing prescription drug and heroin abuse problems. We agree and want to take this one step further. There must be a visible national nurse leader recognized by nursing and the public to help lead this effort. Many ANA members may not be aware of current legislation in Congress to designate the Chief Nurse Officer (CNO) of the U.S. Public Health Service as the National Nurse for Public Health. The National Nurse Act of 2015 (H.R. 379/S. 1205) incorporates an important duty for this nurse leader revealing a connection to what Summers proposes. The CNO/ National Nurse will conduct outreach and education, while providing guidance and leadership for activities to promote public health. Nurses and other health professionals will be encouraged to volunteer and develop projects that educate and engage the public in prevention practices. As we continue to explore solutions to solve opioid addiction, Summers acknowledges that nurses are critical to the success of any program that is undertaken to address this growing problem. 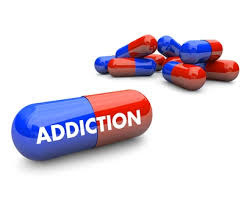 Nurses are poised to assist in this national movement to reduce opioid addiction. The National Nurse for Public Health would provide the uniting voice and leadership to do so. For more information and to find steps you can take to advance the National Nurse Act, please visit http://nationalnurse.org. The growing concern over opioids in our communities is an excellent example of why The National Nurse Act SB1205 should be passed. It would stimulate local volunteer efforts to address the issue.